As parents, we are always trying to provide our children with the best opportunity to succeed. Over the past 25 years, I have had the pleasure of coaching some of the world’s top juniors. While traveling around to the many junior events throughout Europe and the United States, parents always approach me and ask me questions about my thoughts on the recipe for success. My answer then, as it is now, and will be in the future, is always the same: Top coaching and great training facilities. In today’s modern world, golf has become a very scientific sport. We have launch monitors, 3D Analysis, multi-camera video systems, endless game improvement devices, fitness programs and junior tours for kids of all ages. To maximize your child’s potential, he or she needs to be with experts in all these fields. 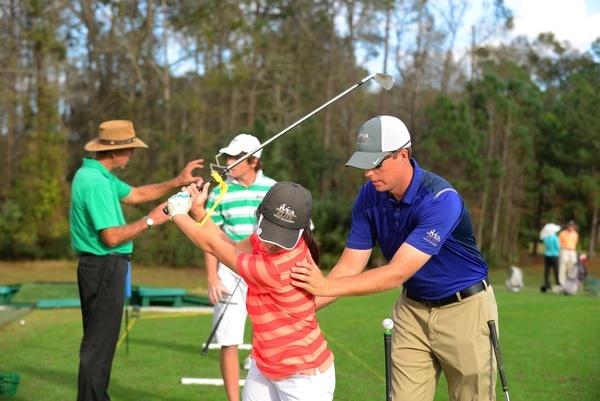 There are some golf courses with junior programs that come close; but for the most part, you will have to enroll your child in a specialized golf academy to experience such a learning environment. Why and where you enroll your child in such a facility is a private affair. The situations and reasons for making this decision are as different as the myriad of facilities around the world. To help aid you in your decision, I am showcasing one of the world’s top programs, The Mike Bender Elite Golf Academy, to describe to you what you should be looking for. Academy Director. His or her areas of responsibilities should include: Day-to-day operation of the facility, direct interaction with the coaching of the students and the direct supervision of the coaches working for him. Golf Digest Magazine named Mike Bender one of the Top 5 Teachers in America. Mike competed on the PGA Tour during the 1980s and many of his students have won PGA and LPGA tournaments and even major championships. However, Mike’s passion is still with teaching young players. He is at the center of everything that happens at his facility – day in and day out! Staff – Look for a staff with instructors with experience and success. Often you might find the Academy Director is a top professional, but the staff is full of young inexperienced professionals. Mike’s staff includes another one of Golf Magazine’s Top 100 Teaching Professionals as well other experienced and successful teaching professionals. 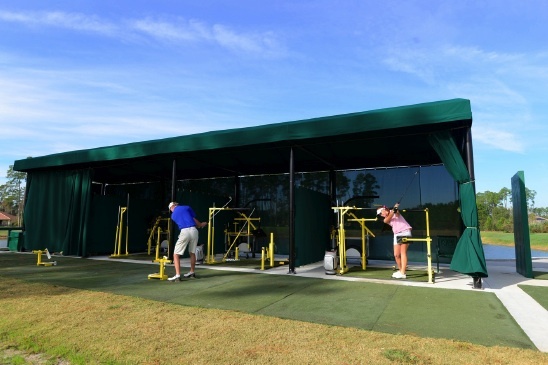 Top Practice Facilities – The practice area should be private, reserved for golf academy members, and large enough to accommodate the academy’s needs. 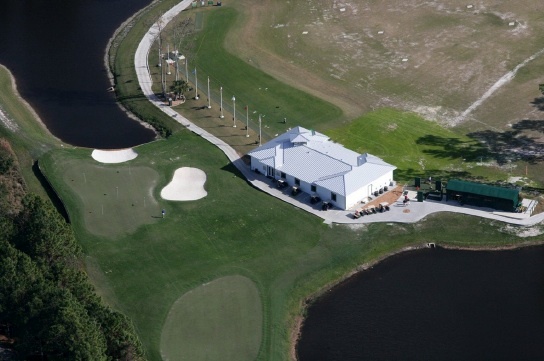 Located at the Magnolia Plantation Golf Club in Lake Mary, Florida, the $1 Million facility is reserved for the Academy students and ensures a private setting. Practice Facilities – A top practice facility has not only the best range balls and practice range, but also a great short game area. Having large amounts of hitting space and top turf makes practicing enjoyable and realistic! A top practice facility will always have a separate area for specialized devices. Learning Center – There should be no shortage of tools available to coaches and students on the path to leaning. The environment, in which a student is presented with information, is often as important as the message! Mike has spared no expense in creating a world-class learning environment for his pupils. Fitness Area – Fitness is a part of every top program’s day-to-day schedule. Mike’s staff includes a licensed physical therapist and certified strength and conditioning specialist who is Titleist Performance Institute (TPI) certified. Education – On your way to the PGA or LPGA Tour, it is not a bad idea to get a top education. An elite golf academy will usually be associated with a private school. 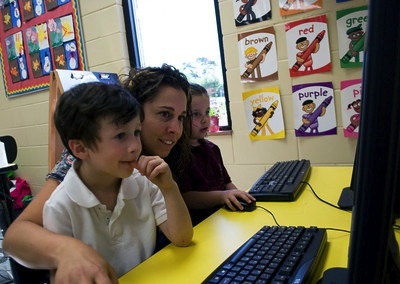 Private schools have more flexibility regarding curriculum and attendance of its students. Usually classes will be scheduled to include time for intense training at the golf facility. It will also take measures to insure that students who play a lot of golf tournaments have the support to complete their studies. This will often include tutoring. Any top golf academy director will settle for nothing less but the best educational facilities associated with his or her program. For those parents who are thinking of having their child board on a full-time basis, this should take major priority in your decision. Lake Mary Preparatory School is a college preparatory school focused on challenging our students and teachers to stretch their minds, think critically, and engage in maximizing the value of each opportunity presented to them. I seriously recommend that you check out their website. I think you will find it the benchmark for an educational institution! Your Goal as a Parent – to teach your child that with structure, organization, discipline and hard work all things are possible. English author Lewis Carroll said, “If you don’t know where you are going, any road will get you there.” Don’t leave your child’s future to chance. Invest in your child, invest in the best! !